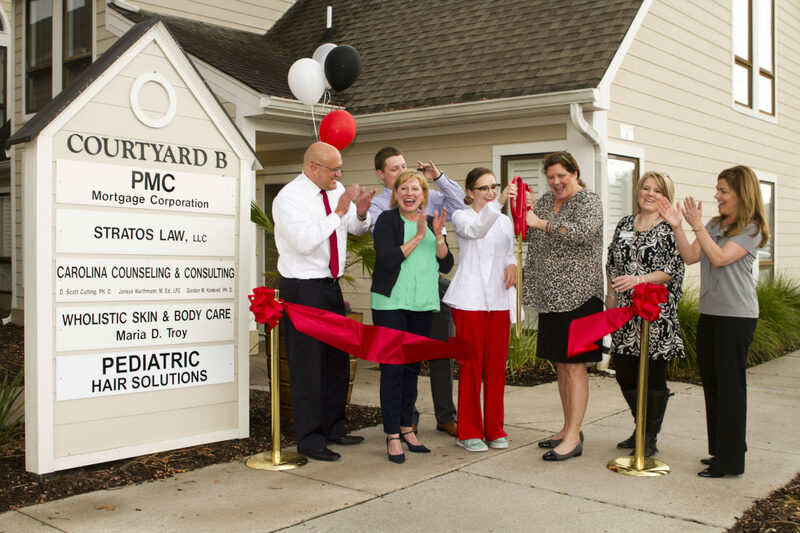 Pediatric Hair Solutions celebrated the opening of its newest location in Mount Pleasant, South Carolina. The MD/RN owned and operated business is dedicated exclusively to the treatment of head lice. Mayor Linda Page and Mount Pleasant Councilman Mark Smith attended the opening and ceremonial ribbon cutting. Head lice is the second most common communicable disease, affecting 6 to 12 million school aged children each year in the United States. The problem is getting worse as lice have developed a resistance to the most commonly used over the counter treatments. Pediatric Hair Solutions provides screening, diagnosis and head lice treatment for children and adults. Their treatment process includes a device that uses heated air to kill lice and eggs. Pediatric Hair Solutions is active in each community it serves, providing education, counseling and support services to families and school communities. The company’s medically trained professionals partner with school nurses and pediatricians as a resource for families in need of screening, treatment and education. The new treatment center is located at 1041 Johnnie Dodds Blvd. in Mount Pleasant. It’s the company’s ninth location. Fassler and her husband, John Fassler, MD, founded Pediatric Hair Solutions in 2010.